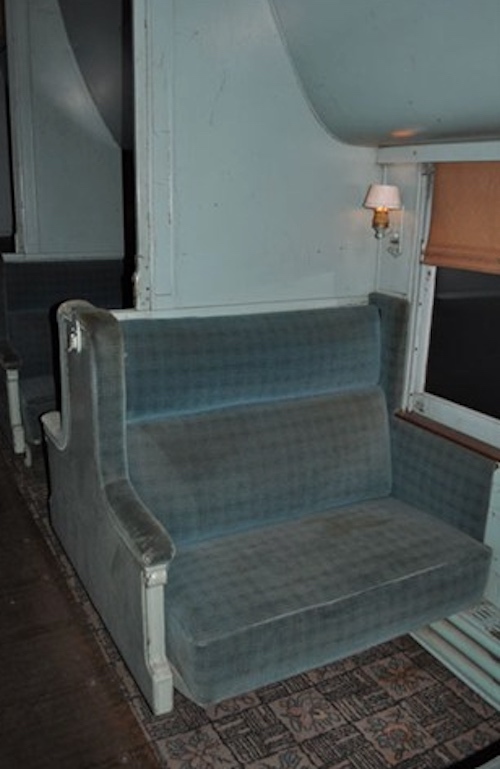 An unrestored Pullman railcar. See the wall sconce? This is what one looks like restored. I recently acquired a matched pair! 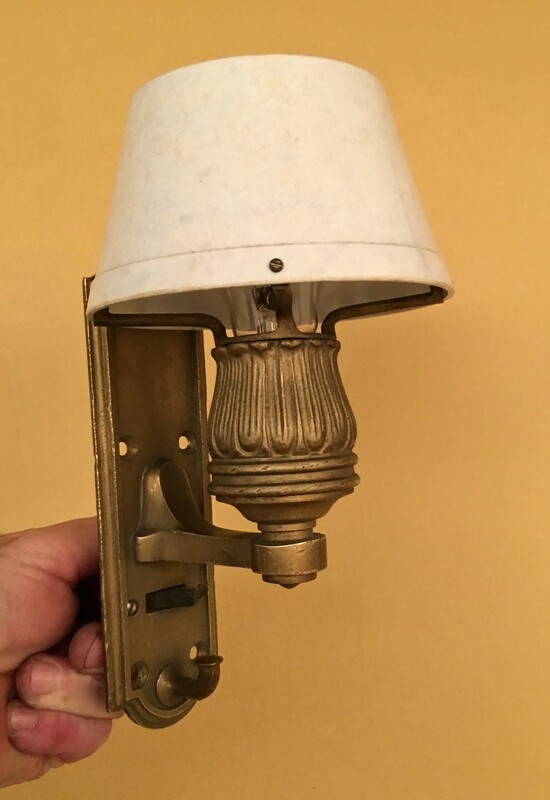 The sconces are beautifully detailed and, wow, retain their original coat hooks, switches, and shades (an early form of plastic). I love stuff like this! Soooooooo cool! 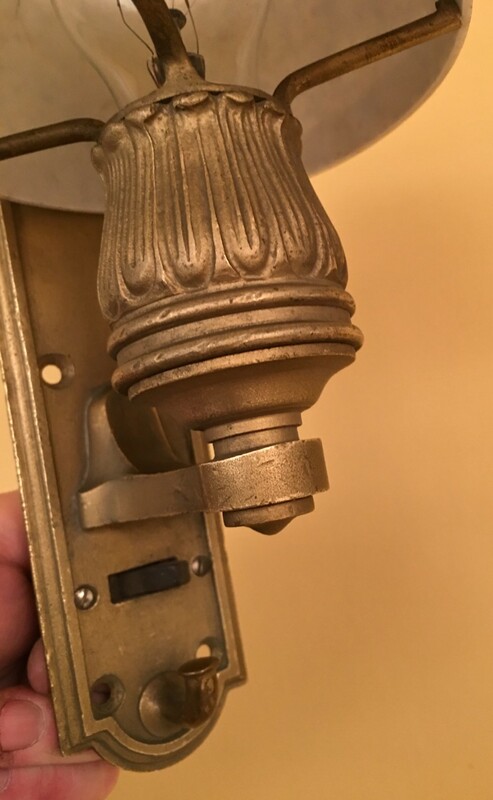 3 Responses to Pullman Sconces! When we were house-shopping, we looked at a very nice 1885 Victorian that had a repurposed Pullman sink in a first-floor bathroom. It was a good choice, as the bathroom was very small! Can you post a link to a photo? I think I may have something similar! You have an exceedingly charming corner sink but I do not think it is a repurposed Pullman sink.